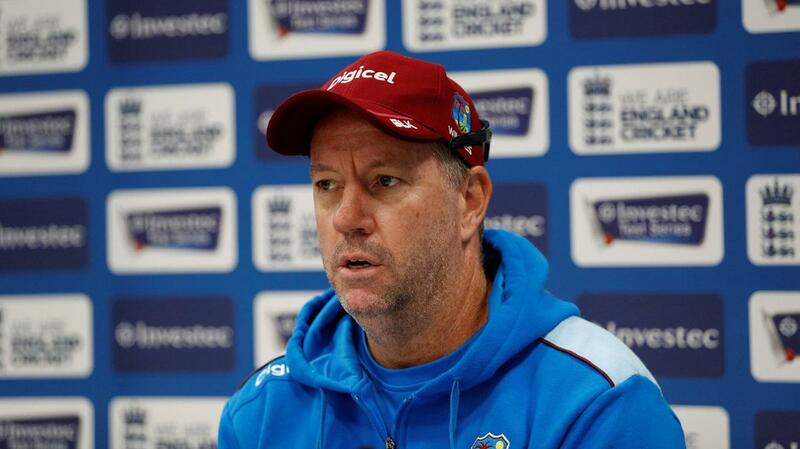 DUBAI: West Indies coach Stuart Law will miss his team’s two upcoming one-day internationals against India after a breach of the ICC code of conduct saw him banned by world cricket’s ruling body on Tuesday. The Australian was found guilty of breaching the code during Sunday’s play in the Hyderabad Test by making “inappropriate comments” to the umpires. Those comments followed the dismissal of Kieran Powell, after which Law “went to the TV umpire’s room and made inappropriate comments. He then walked to the fourth umpire’s area and, in the presence of the players, again directed inappropriate comments at the fourth official”.